Season the fish fillets with salt and pepper to taste on all sides. 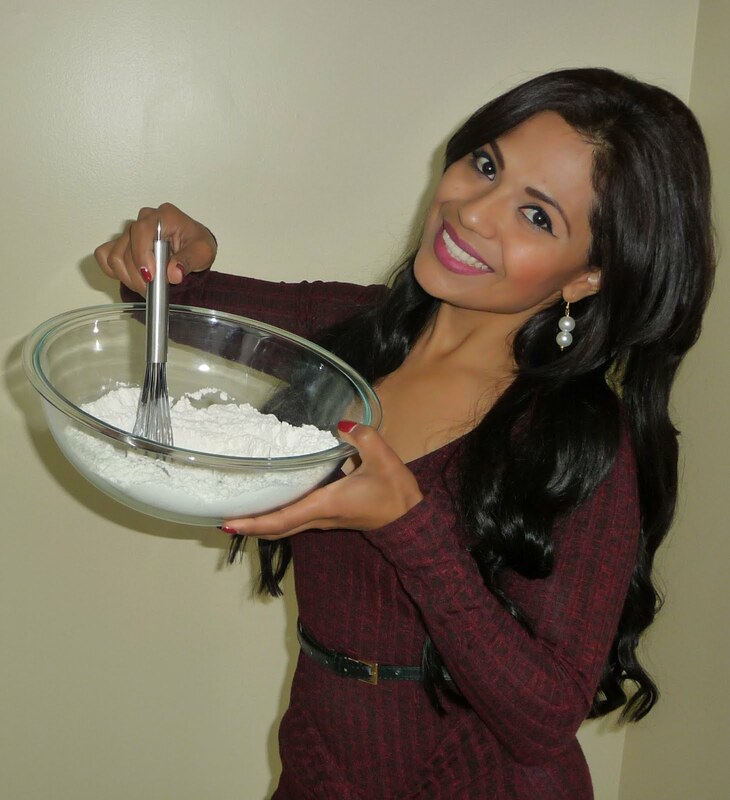 Use a ¼ cup of flour to flour the fish fillets, make sure to cover all the fillets with the flour on all sides. Set aside. In a large bowl combined one cup of flour with two tablespoons of paprika, one tablespoon of garlic powder, one tablespoon of onion powder, one teaspoon of black pepper and one teaspoon of crushed red pepper, also season with salt to taste, stir to combine and set aside for a minute. Beat the egg with the maggi sauce, (feel free to replace the maggi sauce with worcestershire sauce), beat until combined and then add it into the flour mixture. Into the flour mixture also pour 1 ½ cups of beer, stir until well combined, you will a thin batter, and once the batter is ready, set it aside while you heat up the oil. Preheat plenty of oil to a temperature of 350ºF. Now dip the fish fillets into the batter mixture, make sure they are covered with the batter on all sides, then tap them a bit to remove the excess batter, and then transfer them to the hot oil, fry them for about 3 minutes in total, about 1:30 minutes on each side. Once the fish fillets are golden browned and crisp on all sides, remove them from the oil and place them on paper towels to remove the excess oil. Keep on repeating these steps until you have all the fillets ready. 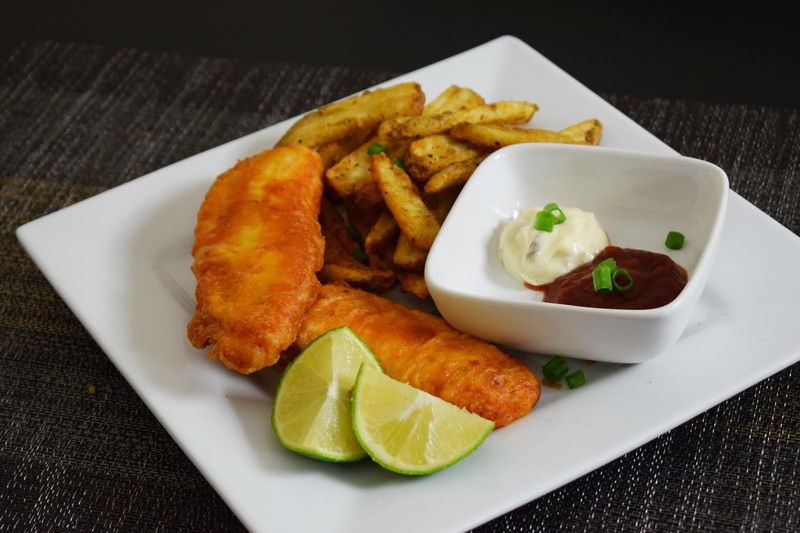 Serve with fries, or a salad, garnish with lime wedges, tartar sauce or chili sauce. And that’s it.